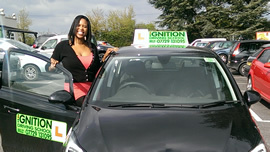 Taking driving lessons with an Ignition Driving Schools instructor will get you more than just a driving licence! Our friendly, patient and knowledgeable driving instructors can give you confidence and will make you enjoy your learning to drive experience. Had a great time learning to drive with Ignition. Lessons were well structured which made me progress very swiftly. I felt at ease driving and had lots of fun gaining a huge life skill! Thank you Steve for helping me in my lessons and guiding me to a 1st time pass! Obtaining a driving licence is one of the most important qualifications you can get in life, it gives you freedom and allows you to travel, work and live your life to the full. Learning to drive isn’t just about passing a test it’s about safe, confident driving for life and so it’s important you find the right driving school to learn with. 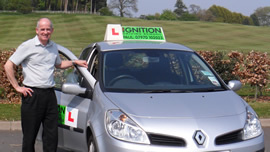 At Ignition Driving School, all of our driving instructors are fully qualified (ADIs), and as we only recruit local driving instructors, you can rest assured knowing that your driving lessons will be conducted close to home and around your local driving test centre area. It is this combination, we believe, that improves your chances of passing on driving test day. We don’t believe in heavily discounting pricing and offering gimmicks to entice you take driving lessons with us. There are always conditions attached to these discounts and there’s no such thing as a free lunch! Over 50% of pupils who have recently passed their test with an Ignition Driving Schools instructor had started learning to drive with a different driving school but had been let down in some way or other. Our philosophy is that a fair pricing strategy is a fair system for all. Our driving instructors won’t keep you learning to drive for longer than is necessary and on our driving lessons you will actually drive, not sit by the roadside talking about life! I cannot recommend Ryan enough and I am glad I began my lessons with him. Ryan was very friendly, helpful and accommodating with lessons which at times meant working late and weekends to go above and beyond to help me pass my driving test. Ryan put up with my low confidence and self esteem, and in some lessons even had to deal with my tears when I felt things weren't 'sinking in'. I cannot praise his patience and effort throughout every single lesson enough. I have chosen to take further lessons to make me more confident and to be introduced to the motorway! 1st time pass with both my theory and practical test and I couldn't have done it without Ryan. Thank you so much! A big thanks to Mark Taylor for his explanation and tuition. I had road experience as a motorbike rider so that helped but had very rarely got in a car (5 or 6 times) so was new to driving. Anything I was nervous about, Mark's friendliness and good explanations soon started to make me feel comfortable. 25 lessons and a pass first time. Well pleased. Thanks to Mark and Ignition Driving School. Furthermore, as with all professional driving schools, we believe that you shouldn´t have to share your driving lesson time with somebody else. That´s why we guarantee all our driving lessons are one-to-one tuition, with no back seat passengers, and unlike some other driving schools our hour lessons REALLY do last for a FULL hour! An hour not long enough? We also offer 1.5 hour and 2 hour driving lessons for those of you that want to progress a little faster. As well as standard driving lessons, refresher courses and motorway driving lessons, we are also specialists in intensive driving courses. 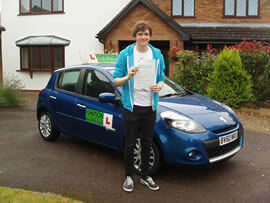 Over 400 pupils have taken an intensive driving course with an Ignition Driving Schools instructor and passed! We have 3 intensive driving courses available, depending on your requirements, and all courses are run in your local area, with a local driving instructor and one-to-one tuition. You’ll have someone managing your course too so the only thing you need to think about is learning to drive! What sets us apart from other driving schools is our support. When you’re not on your driving lesson you can continue to learn with our online pupil centre, exclusive to Ignition Driving Schools pupils, called The Hub. At The Hub you can read up about the theory related to the driving lesson you’ve just had or read up about the next topic. You can also do exercises to help retain the information for longer and practice theory papers and hazard perception clips. All this online support is FREE, so you can continue to learn in the comfort of your own home! I came to Ignition after lessons with a different driving school, through a recommendation from my neighbour. I was nervous about starting with some knowledge of driving with a new instructor. However, my instructor was friendly and helpful from the first lesson, and I soon gained my confidence again. The lessons were well structured and had a clear aim, which made it easy to track my progress. The friendly instructor's resources helped support the hourly lessons. I was confident going into my test because of the support provided by my instructor. Ignition is a fantastic driving school, who I would recommend to everyone. Sandra was an amazing instructor, very friendly and encouraging, which really built up my confidence. Plus the value for money is just unbeatable. I would definitely recommend Ignition Driving School to anyone, especially nervous drivers! Thanks again! Not many driving schools reward their customers for their loyalty but we are extremely grateful for all the referrals we receive, and now recommending friends and family to Ignition Driving School has never been better with our loyalty card scheme! For every friend or family member introduced to the school you will receive a high street voucher, and introducing just 5 friends to the school rewards you with £105 worth of vouchers! Wow! So now you can treat yourself whilst learning to drive! Whatever you need, we´re here to help. So make this year the year you learned to drive and passed your driving test with Ignition Driving School.